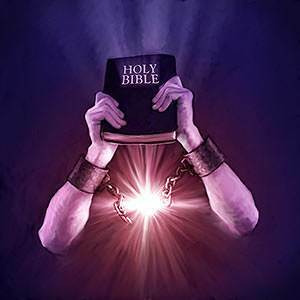 The Bible is the story of man's complete ruin in sin and God's great salvation in Christ. 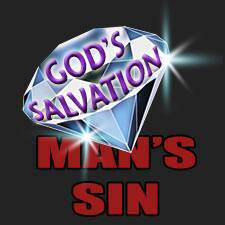 Just as a brilliant, flawless diamond is best displayed against a black velvet background, so God's great salvation shines forth against the dark background of man's sin and rebellion. Man did not come up from lower forms of life. He was created by God Himself. Man was created by God as a living person. We do not call an animal a person. Man is not only a living person, but he has a spirit, which was breathed into him by God Himself. By his spirit, man can know God and receive his life. God gave man dominion over all the earth. God's thought was to have a glorious head over all of His creation. God wanted a man who would rule over all things for His pleasure. As soon as Adam and Eve were created, God blessed them. It was His first act regarding them. God told them to "be fruitful and multiply." God wanted a whole race of people in His own image and after His moral likeness. 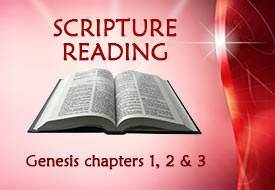 Genesis, chapter three, is one of the most important chapters in the Bible. It shows how sin came into the world, the nature of sin, the source from which it came, and its consequences. God placed Adam and Eve in a beautiful garden filled with good things to eat. God placed only one restriction on Adam and Eve. They were not to eat of "the tree of the knowledge of good and evil." For a time Adam and Eve were very happy. They had everything they needed to make them happy. 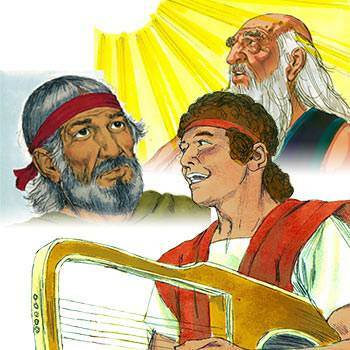 Best of all, they had fellowship with God, their Creator. This made them supremely happy. But God allowed His great enemy, Satan, to tempt Adam and Eve. Eve was deceived by Satan and she ate the forbidden fruit. How did sin come into the world? It came in by the disobedience of one man, Adam. 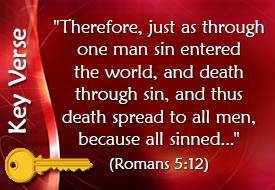 What is the nature of sin? It is rebellion against God and His will. What was the source from which sin came? The source was Satan. 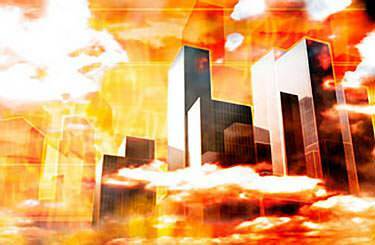 What were the consequences of Adam's disobedience? It brought sin and death into the world. And it brought man under the control and power of Satan. 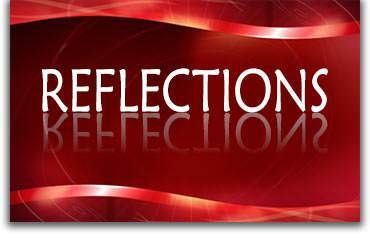 When Adam disobeyed God, he died spiritually; he was separated from God's life. His nature changed. He now had a sinful nature. 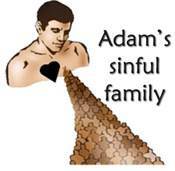 Because Adam was the head of the human family, he passed his sinful nature on to his children and to the whole human family. Adam himself had been created "in the image of God," but the children which he produced were "in his own likeness, after his image." (Genesis 5:3) Adam produced a race of sinners like himself. 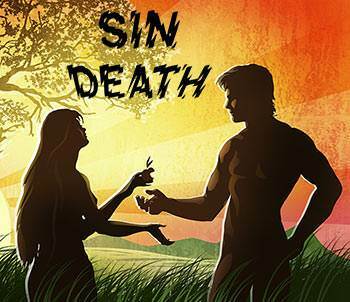 From the very moment that Adam sinned, God's pleasure in him came to an end. 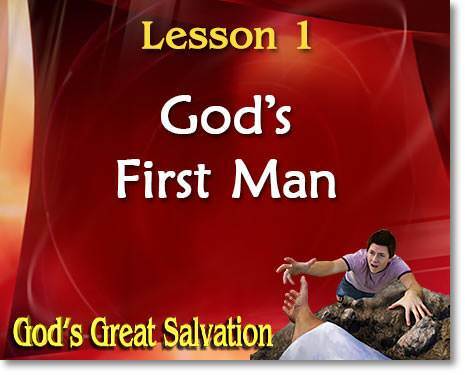 God's first man was now a sinner. Instead of purity and innocence, the germs of all kinds of evil were in Adam's heart, and he passed his sinful nature on to his children and to the whole human race. We are going to look at the children of Adam at different times in history and see God's estimate of them. We will be considering what the children of Adam are by nature. We should bear in mind that all through the Scriptures we see a work of God's grace in certain individuals. In every age, there were men and women who were marked by faith in God. 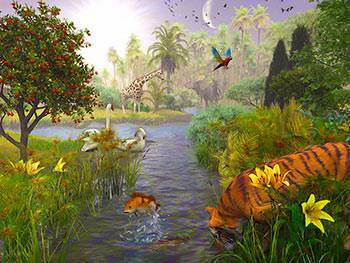 In Genesis 6, God tells us what conditions were like on the earth approximately 800 years after Adam's death. By this time there was a vast number of people living on the earth. 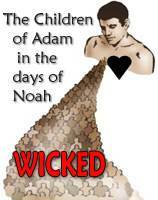 Because men were so wicked, God sent a great flood which destroyed every person except Noah and his family. Only eight people survived this great flood—Noah and his wife, and their three sons and their wives. 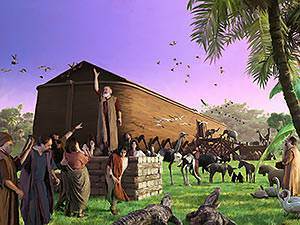 After the great flood, the family of Noah brought forth children and multiplied. Once again, the children of Adam covered the earth, and once again they turned from God and filled the earth with their sin and wickedness. Once again God called forth a single family to follow Him. God chose Abraham to be the head of a family who were to be His special people—the children of Israel. Later, the children of Israel became slaves in Egypt, but God gave them a deliverer, Moses, who led them out of Egypt. On Mount Sinai, God gave the Ten Commandments to Moses. 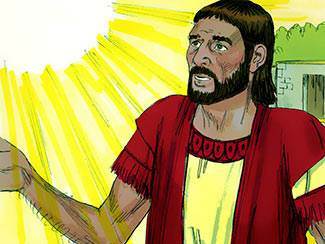 These commandments showed the people what was right and what was wrong in God's sight. Later, under the leadership of David, a godly king, Israel became a great and powerful nation. This was approximately 1300 years after the flood. Even with a good king like David and with God's holy laws, the people were still sinful in their hearts. The Bible does not say that all of Adam's children are alike in their sinful actions, but the Bible does say that we are all "under sin." The Lord Jesus told us what things would be like in the very end days, just before He comes back to the world in great power and glory. Will things be better then? No, they will not. Instead, they will be worse. Jesus said that "iniquity [sin] shall abound" in the days ahead. The Lord Jesus is saying here that when He comes again, things on earth will be as they were in the days of Noah. We have looked at the children of Adam at different times throughout history. 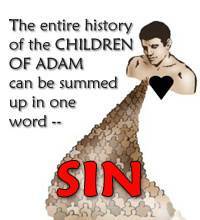 The entire history of Adam's family can be summed up in one word—sin. Before He created Adam, God knew that Adam and his children would fail. But from eternity, God had His plan. He would give the human race another Man, the Lord Jesus Christ. In reading the Old Testament, we discover that, from the fall of man onward, every blessing that God promises is connected with a coming Saviour. In Genesis 22:18, God promised Abraham "In your seed [one person—Christ] shall all the nations of the earth be blessed." In these wonderful promises to Abraham, God revealed His heart. 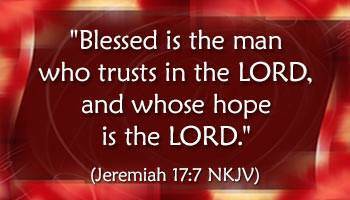 His great purpose is to bless man. Even though men are sinners, God loves His sinful creatures and desires to bless them. God's blessings for the human race were not to come through Adam and his family, but through Christ, God's promised Saviour. * God created man for His pleasure. * God's first man, Adam, and his family brought no pleasure to God. 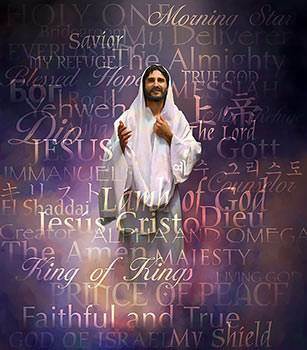 * God promised a coming Saviour, Jesus Christ. * In Him all the nations of the earth will be blessed. God is "the God of truth." (Isaiah 65:16) He wants us to know the truth. God gave us the Bible that we might know the truth—the truth about God, the truth about Jesus Christ, the truth about Satan, the truth about sin, and the truth about ourselves. The Bible tells us the truth about the origin of things—the origin of the universe, the beginning of the world, and the beginning of the human race. No believer need be afraid that any discoveries of geology or of any other science will ever be able to shake the truth of God's Word. The Bible tells us the truth regarding the origin of man. Again, men leave God out and weary themselves with various theories about how man got here. The Bible says that man was created by God. The human body is the most wonderful thing in nature. It could never have come into being by chance. God did not create millions of people; he created one man, Adam, and He created a wife for Adam. Adam was the head of the human race. When he sinned he took the whole race with him—away from God. Man in his natural state is not only a sinner, but he is a rebel. He does not want God to interfere in his life or his plans. The Bible says that the carnal or fleshly mind is "enmity"—hatred against God. The great leaders of the world can exercise their minds to try to solve the problems brought on by man's sin and rebellion, but they can never solve them.